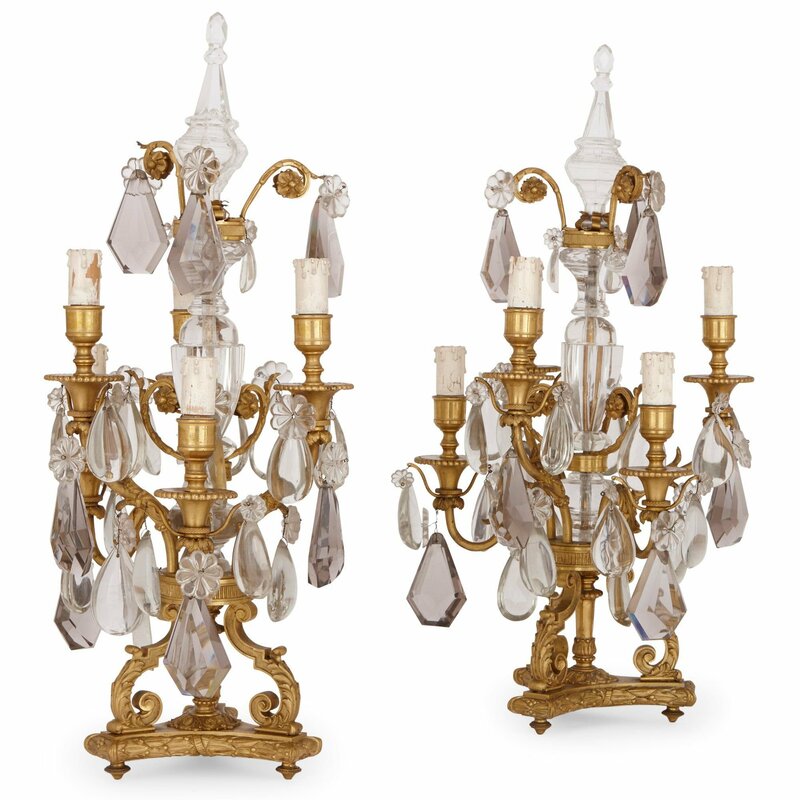 This pair of stately antique ormolu candelabra have been masterfully cast into Rococo style scrolling branches, and are sumptuously accented with faceted crystals. 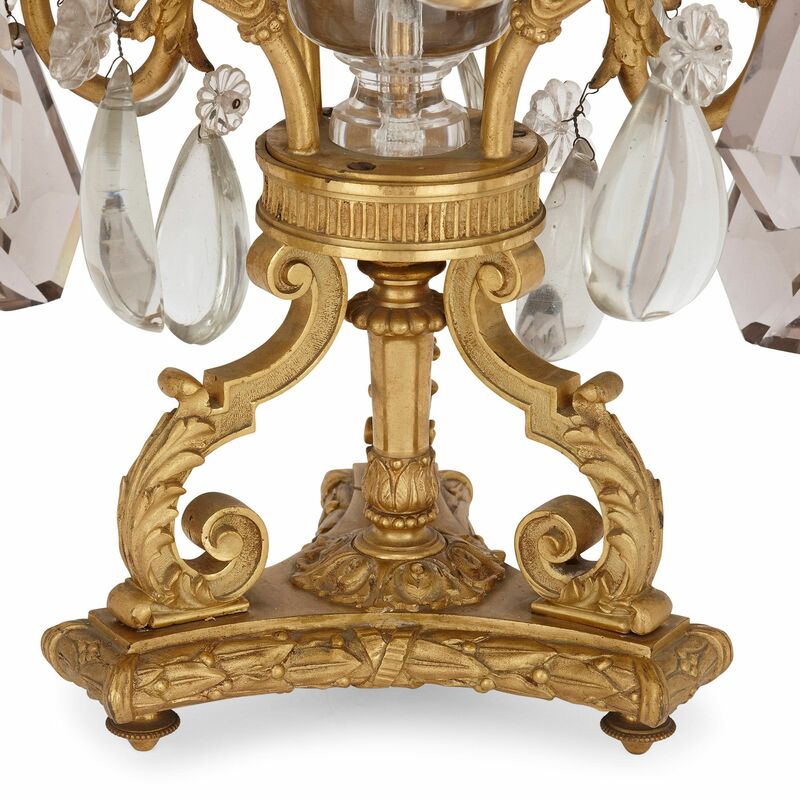 Each of these fine, antique, five-light candelabrum are cast in rich ormolu in the Rococo style. 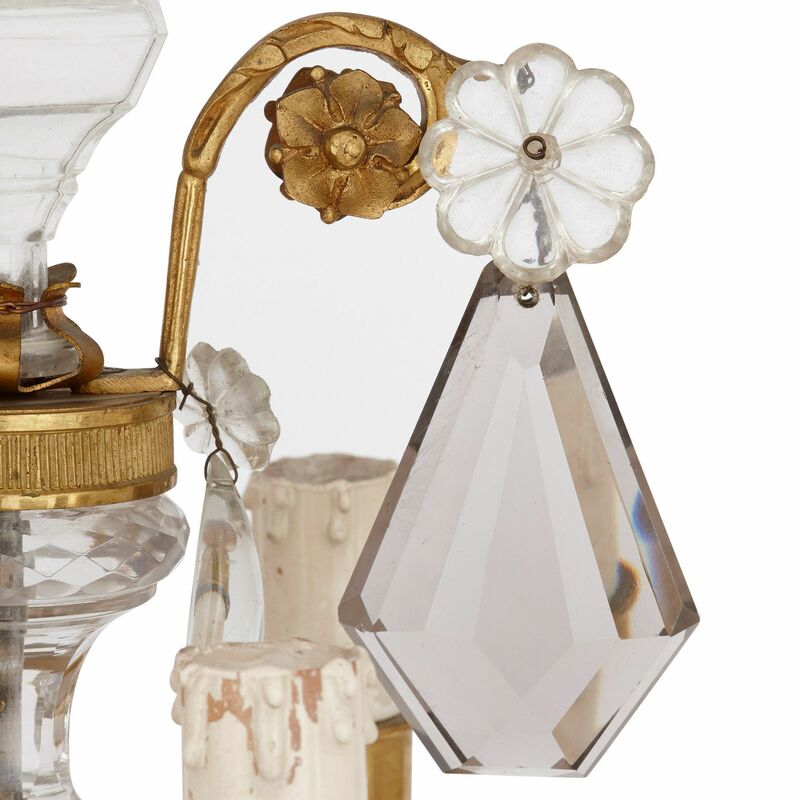 The central stem, topped with a crystal finial, is formed of mounted crystal and set upon a scrolling gilt bronze tri-form base. 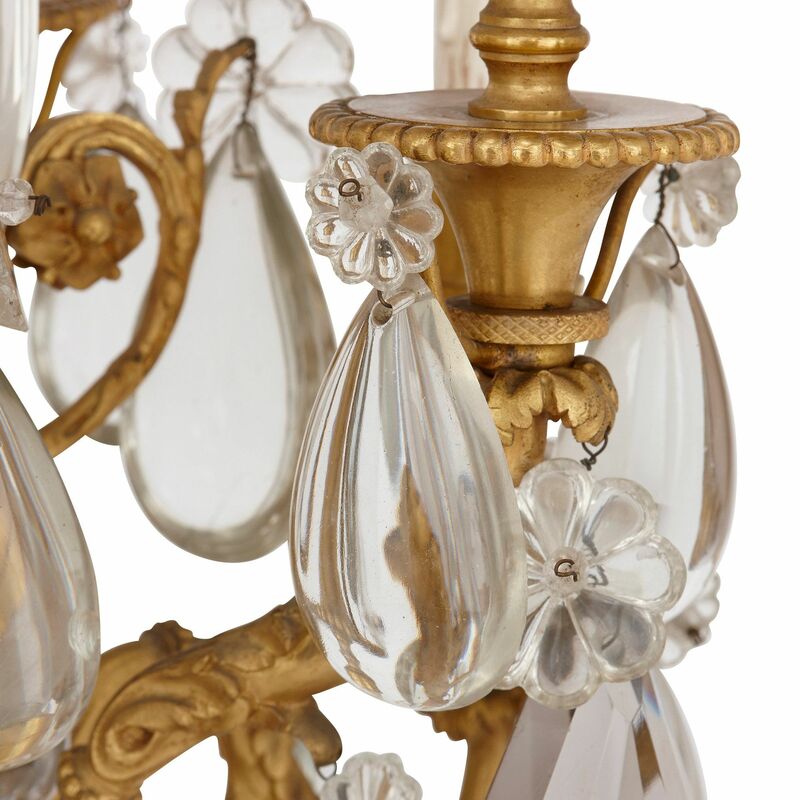 Five branches curl outwards from the central stem, hung with opulent droplet crystals, with holders for five lights.